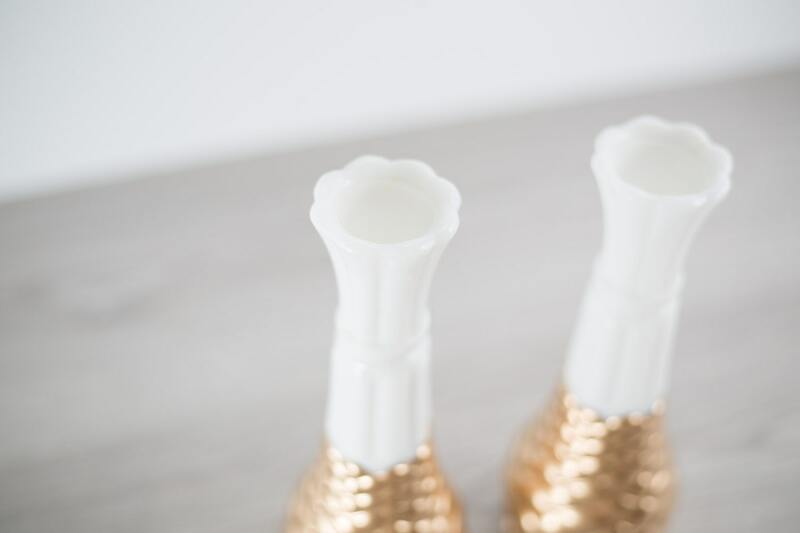 Our hand-painted gold-dipped milk glass vases are cheerfully wonderful and make a great gift for that special friend. 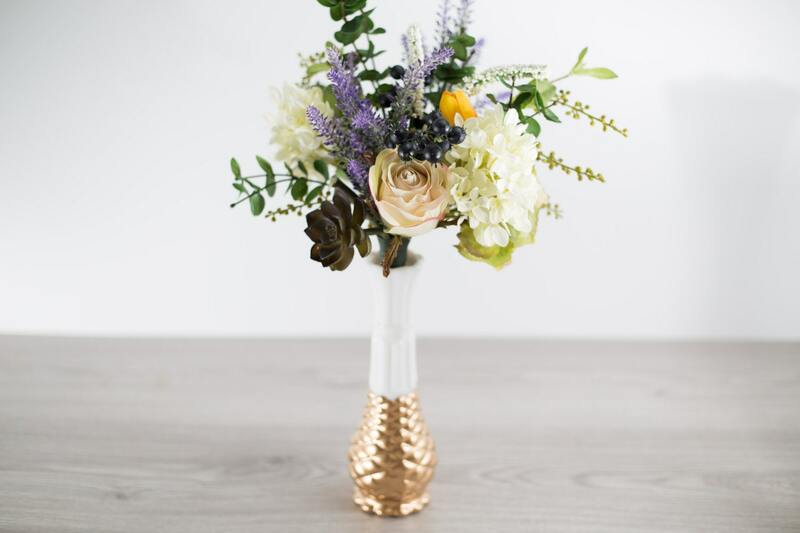 They also make beautiful wedding or dinner party table centerpieces. 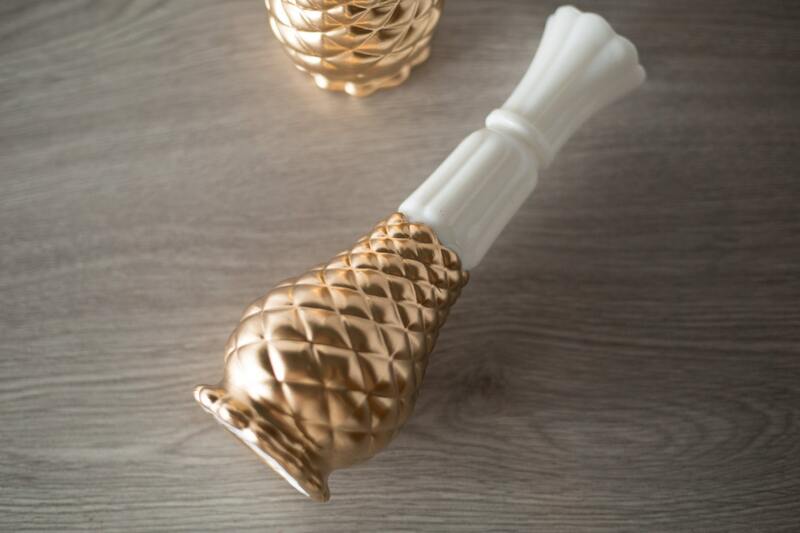 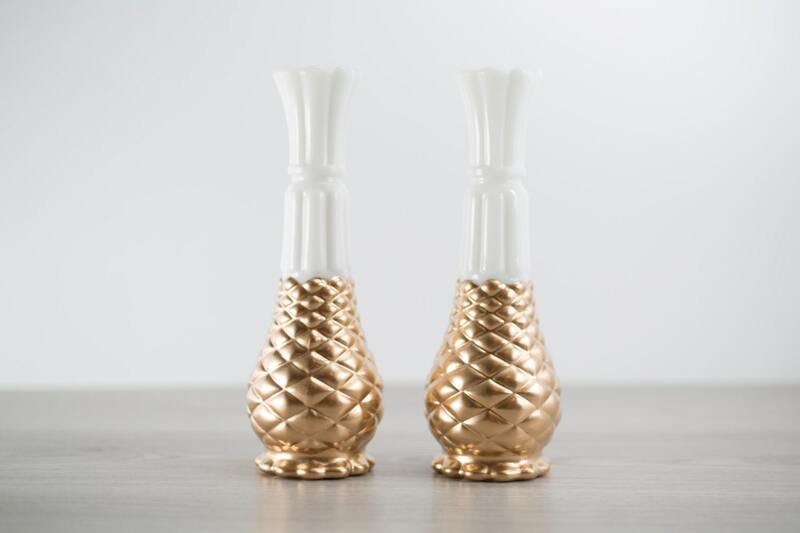 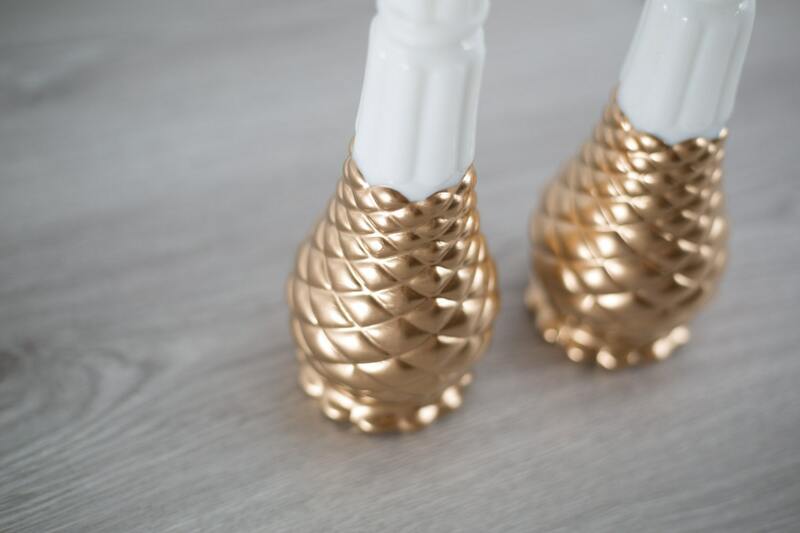 This listing is for ONE pineapple shaped vase.